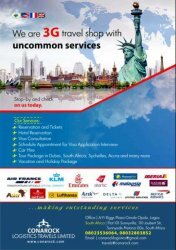 We provide outstanding services in ticketing, reservation, tours, hotels and visa consultant. 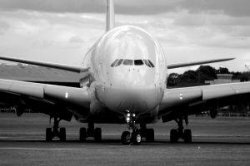 We offer services in Ticketing, Reservations, Visa & Travel Consultancy, Protocol & Logistics, Car Hire Services, Tour Operator and Hotel Reservation. 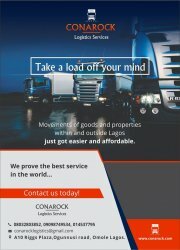 We offer first class value-added haulage, travel, warehousing and logistics service.